Design your own evening of entertainment from these four enchanting tales filled with charm, imagination, and a quirky sense of humor. With lots of small, easily learned roles, all of which are fun to play, these comedies are enjoyable for young actors, onstage and off. In "You Call That a Bed Monster?" Princess Julia wakes up one morning to discover that her beloved bed monster, Humphrey, is missing. Her bumbling guards drag in an assortment of critters, all mistaken for Humphrey, much to the chagrin of the King and Queen. 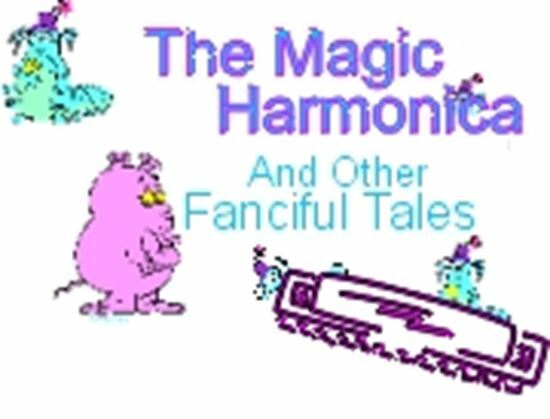 In the title tale, "The Magic Harmonica," it seems like just another boring day for two castle guards, until a peddler bestows upon them a magic harmonica that will grant their fondest wishes. "But Hoo Is It For" follows Michelle, a little girl lost in a forest full of enchanted trees, rocks and animals, who hears that there is a party going on nearby. "The Woobly Fiasco" deals with a befuddled stage manager who tries to put on a play as glory-hungry narrators refuse to stick to the script. Wooblies, the stars of the play-within-the-play, are cute little forest dwellers. But when the forest becomes too crowded, the Wooblies have a surprising solution. Full evening.